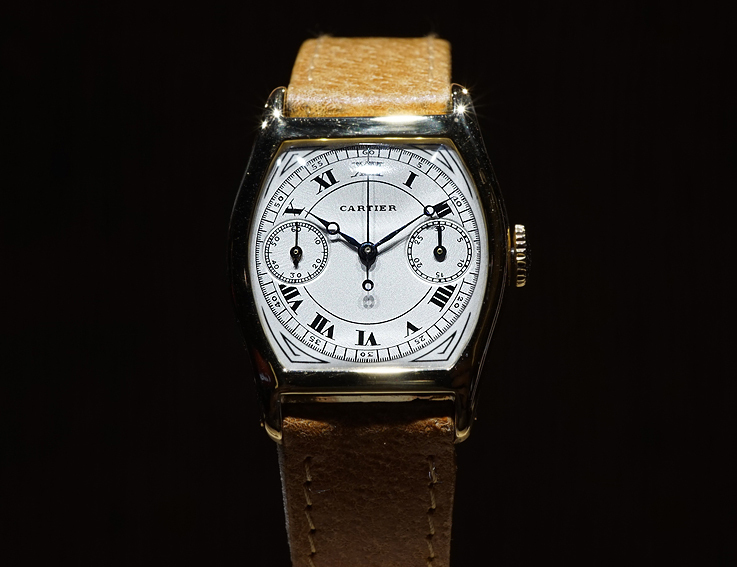 While the Fine Watch Making Collection is getting all the attention and is developing further into a series of the most dazzling complications, Cartier has certainly not forgotten what their strength has always been throughout all those years. Classics, historics and famous lines are something that always appealed and still appeals to a large group of watch affectionados. 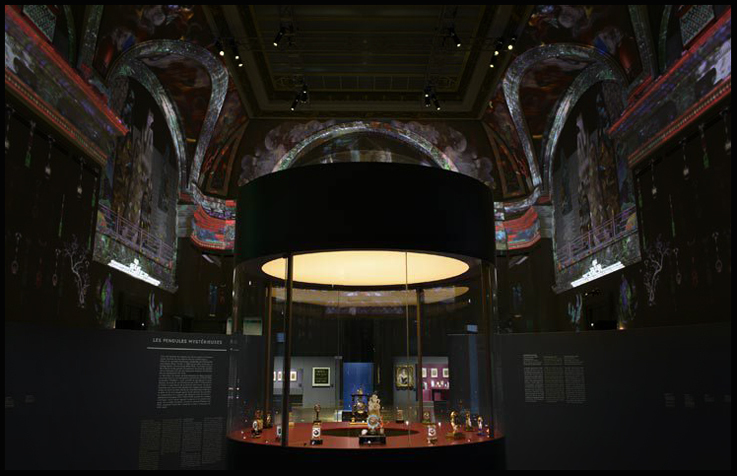 The huge success of the current Cartier Exposition in Paris, ‘Style & History‘, (untill February 16th. 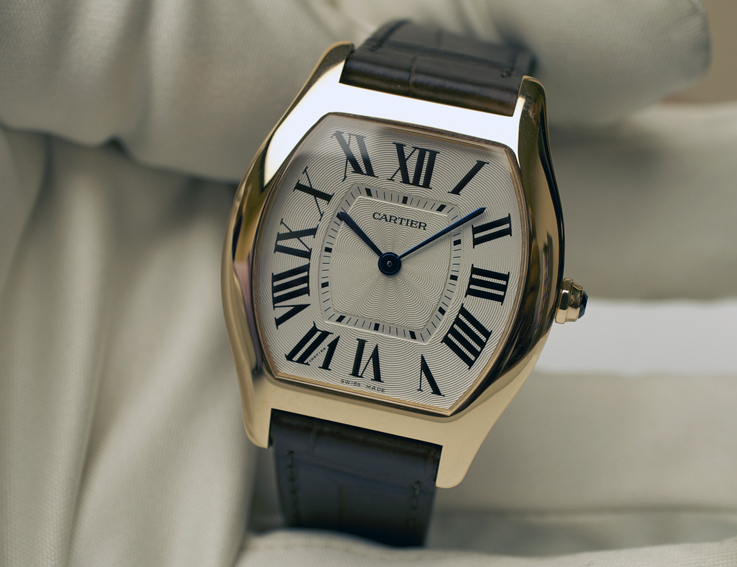 2014) is the best proof, how popular the history of Cartier actually is. 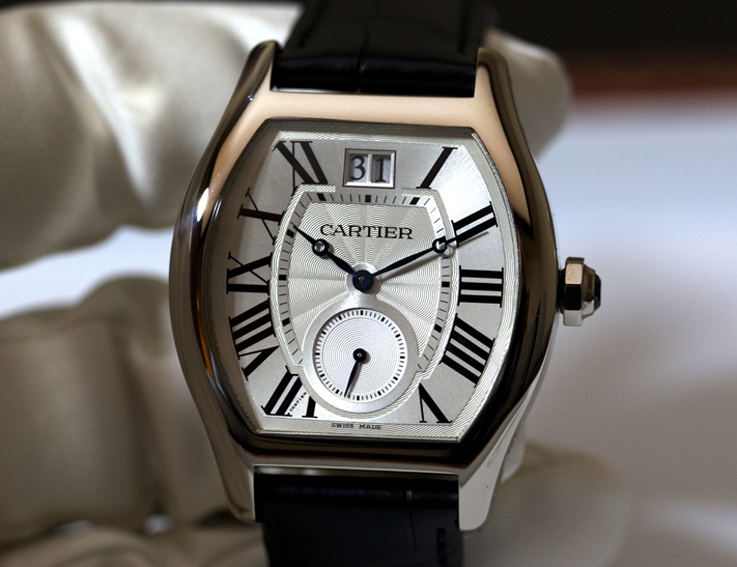 Still I was pleasantly surprised to find a few showcases at the Cartier SIHH booth, with vintage Tortue models. To be more precise, a small time only model and the amazing Tortue Mono Poussoir from around 1925. So I wondered why these watches were on display. As soon as I had passed these beauties, it became clear, since the next vitrines showed some new Tortue models that are really an hommage to the past and to the Collection Privée, Cartier Paris. New Tortue models and this time not in XL or Large cases, but in Medium and Small models. Sizes that were só common for many years, that had almost disappeared when the trend for larger watches became so popular. 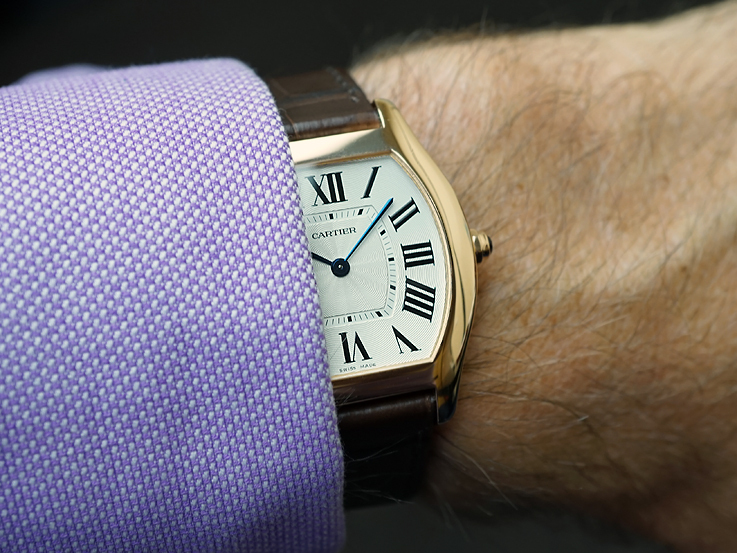 I tried the medium model on my 18cm wrist and it looks absolute right, very classic and great with a cuffed shirt. But that was not it. What had not been available for a long time, was a good bracelet for the Tortue models. 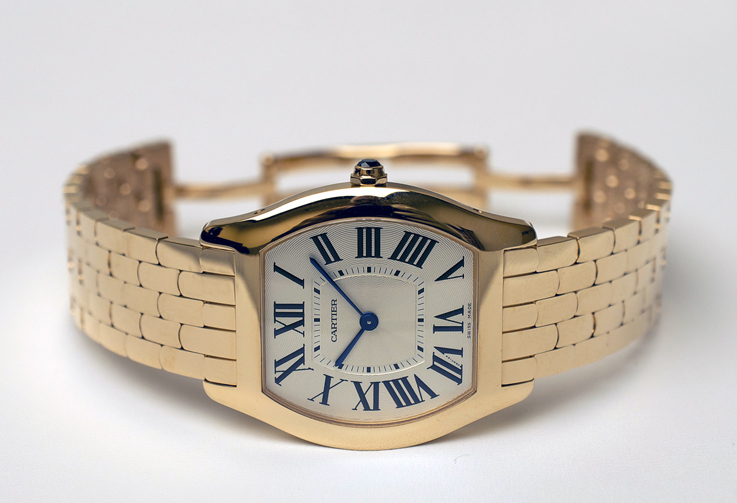 Cartier now designed a new bracelet, that really looks like the bracelets, the brand was always so famous for. Small links and a blind closure. The pink- or white gold medium model, measuring 31 x 39mm is powered with the mechanical winding 430MC caliber. If not on bracelet, the watch comes with an alligator strap with ardillon buckle in gold. The small model has a case size of 24 x 30mm and a mechanical 8970MC caliber. I like these new models a lot and the unisex medium model, will depending of the person, definitely look great on a mens wrist. 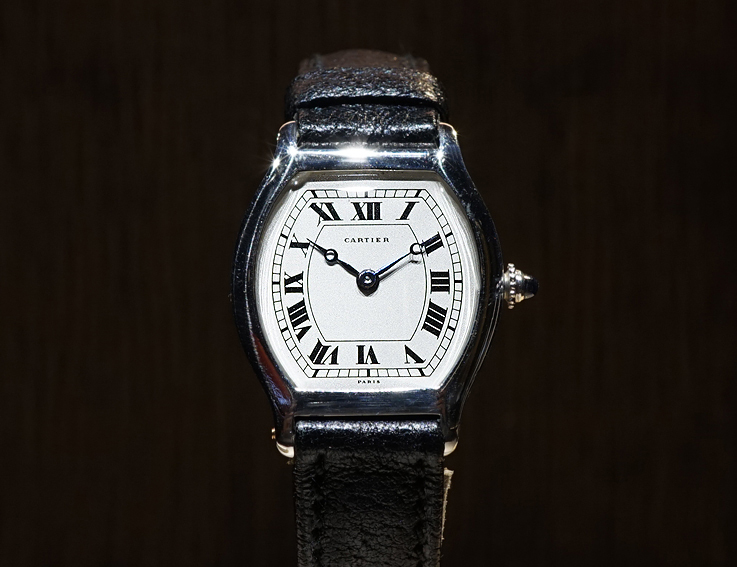 Last year at the 2013 SIHH, Cartier released an XL Tortue in pink- or white gold, with a Sub Seconds @ 6 and Grande Date at the 12. 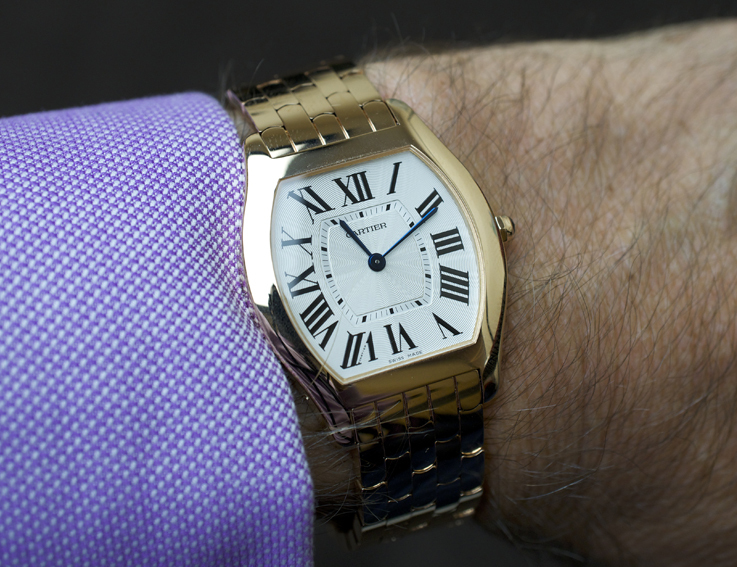 So the Cartier Tortue collection is currently back in full swing!